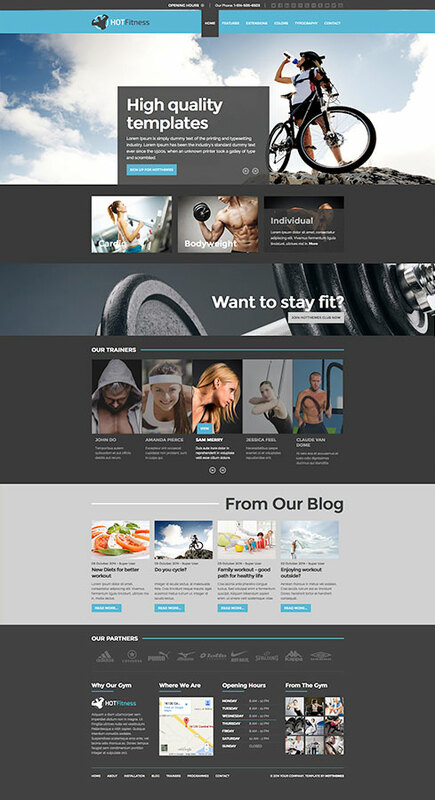 Fitness template is a responsive Joomla template suitable for fitness studios, gyms, and websites for similar purposes. Websites created for such subjects should have some strong messages about healthy life and exercising. Also, they should explain various types of physical and mental training for potential clients. Separate pages about all trainers working at the fitness studio are included altogether with their expertise levels. 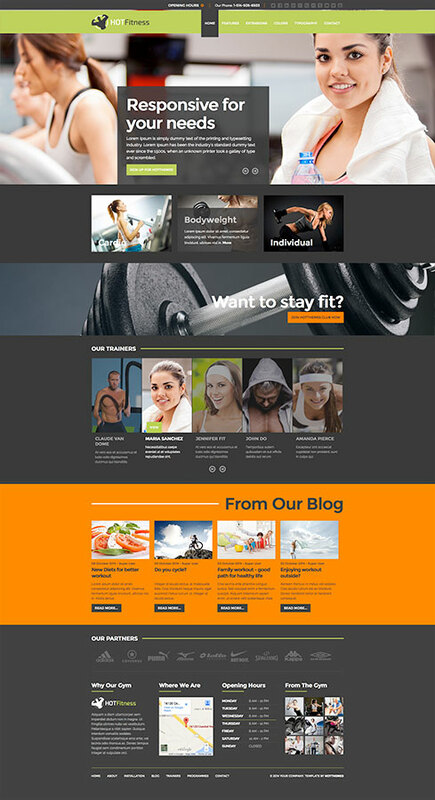 Company blog about healthy life, workouts and maximizing the results of the training is desirable for such kind of websites. 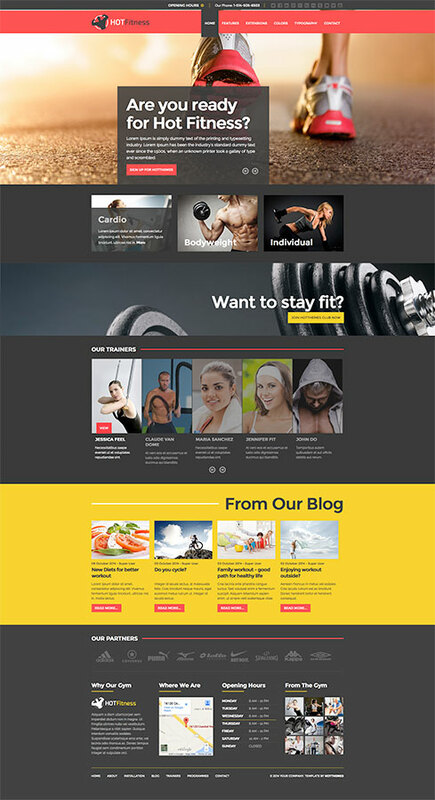 Fitness template also includes all those small, but useful modules, such as working hours, location, and several slideshows and gallery modules. This template comes in 3 appropriate color schemes giving you a possibility to change any color, font or even layout (using drag and drop Sparky Framework). It's responsive and looks great on all mobile devices which is important because target visitors of such websites are active people who spend a lot of their time outside. 3 pre-defined color styles. The colors and layout are easily customizable from the Sparky options. Template has infinite color options. Customization of the template's layout and adding/removing module positions is easy. It's powered by Sparky's drag'n'drop Layout Editor. Change layout and element's dimensions easily wherever you need. Responsive Joomla modules included: Hot Full Carousel, Hot Film Tape, Hot Slicebox, Hot Lightbox, Hot Maps, Hot Bars (for Trainers pages) and Hot Hours (for showing working hours). All these modules are included with Hot Fitness template without additional fees (you save $15 per module). All modules are styled and configured for this template. This template is tested with IE9+, Firefox, Chrome, Safari and Opera browser for Windows and Mac, as well as on iOS and Android mobile devices.